There’s not exactly any shortage of ways to mount your iPhone or iPod touch to your bike, but there’s decidedly fewer options that actually turn your iOS device into a full-fledged cycling computer that’s able to replace those from the likes of Garmin. 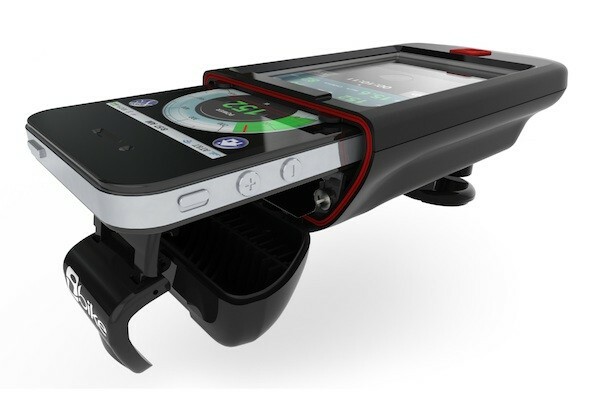 This new iBike Dash device promises to do just that, though. It not only houses your device is a protective, waterproof shell, but it includes an ANT+ speed sensor and is compatible with other ANT+ devices so you can measure heart rate and cadence. It also has room for an extra rechargeable battery to extend your run time, and it naturally makes use of a free app that takes advantage of your iPhone’s GPS capabilities (no built-in GPS here to help out iPod touch users). Of course, all that means this one also costs considerably more than a simple bike mount — look for the basic model to set you back $199, while the deluxe package (including cadence and HR monitors along with an extra battery and charger) runs $329. 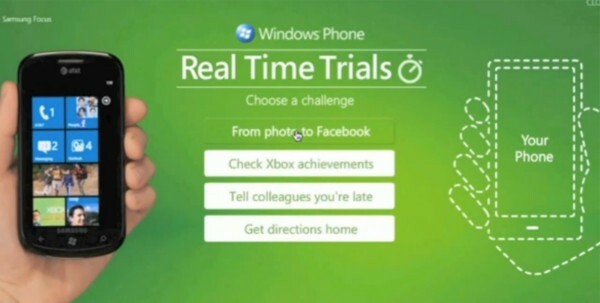 Microsoft’s slowed the pace of Windows Phone 7 ads after saturating the airwaves at launch, but it looks like another campaign is about to begin — WinRumors has a leak of a new set of “Real Time Challenge” interactive web ads that challenge you to complete tasks using your phone against a WP7 device. Challenges include taking a photo and posting it to Facebook, checking Xbox achievements, getting directions, and telling meeting participants you’re running late. Not surprisingly, the WP7 device performs handily at everything — although we’re definitely wondering why you’d be checking Xbox achievements in a hurry while on the run. WinRumors also says that the “Your Phone” image is just a placeholder that will be filled in by other devices in the final ads, so we’ll see how MS decides to portray other platforms and their apps — there’s a lot of ways to do some of these things on Android and iOS devices. (And, sigh, we would note that “Update system software without fatal errors” is not a listed activity.) In any event, it’s a clever ad idea — check the video below. Leaked Windows Phone 7 ads challenge your phone head-to-head originally appeared on Engadget on Wed, 23 Feb 2011 16:41:00 EDT. Please see our terms for use of feeds. Well, it looks like Apple’s just put an end to some of the speculation surrounding its massive data center in North Carolina. According to Apple Insider and Electronista, Apple told shareholders at its annual meeting today that the center is for iTunes and MobileMe (along with Apple’s “corporate systems”), and that it is set to open sometime this spring. As you might expect, it doesn’t seem like things got much more detailed than that, but the news does certainly lend some credence to earlier rumors of a cloud-based, Lala-infused iTunes service and a significantly expanded (and possibly free) MobileMe offering. Here’s hoping we’ll hear a bit more from Apple itself next week. 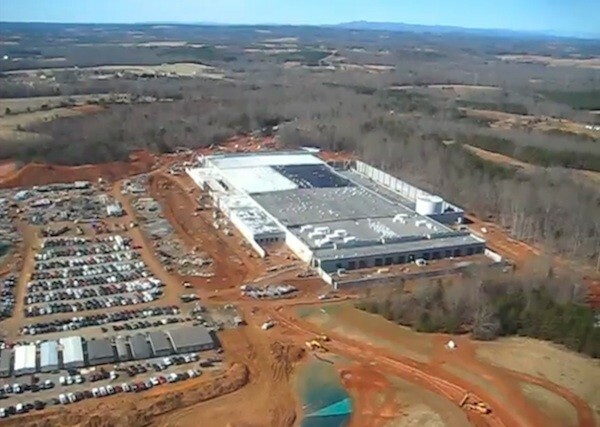 Apple tells shareholders North Carolina data center is for iTunes and MobileMe, set to open this spring originally appeared on Engadget on Wed, 23 Feb 2011 15:45:00 EDT. Please see our terms for use of feeds. This entry was posted on February 23, 2011, 5:36 pm and is filed under Mobility. You can follow any responses to this entry through RSS 2.0. Both comments and pings are currently closed.